Latest News > PC Games > Gotta Catch’em All! 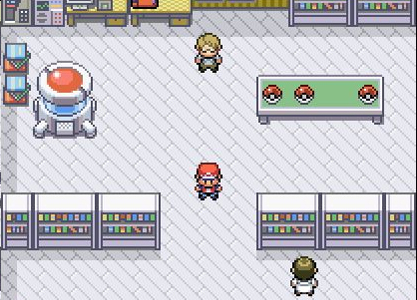 The Best Pokemon Fan Games free to download! With the releases of Pokémon X/Y and Pokémon Omega Ruby/Alpha Sapphire, Nintendo reignited the passion for Pokémon and millions of gamers worldwide now thirst for more battling and catching. Sadly, the main games are only available on Nintendo’s consoles, but to make up for that, fans of the series have taken to game engines like RPG Maker to add their own spin to the series. If you’ve never played a Pokémon game in the past or seen the famous TV series (though you’ll probably be familiar with Pikachu!) here’s what all the Pokémon games are about: In the world of Pokémon there exist the eponymous creatures, each with unique special abilities and with the mysterious power to evolve and gain even more power. You control a Pokémon Trainer, a young boy who’s given his first monster and sent out to the world to prove himself by collecting and training his Pokémon, defeating the Gym Leaders of every city in the region and then move on to the Elite Four, the best trainers in the world. Along the way, you’ll get embroiled in strange conspiracies and you’ll fight secret and nefarious organizations for the fate of the world. Without further ado, We’ll break it down into three categories: Free Pokemon Games, Online Pokémon games and Trading Card Pokémon Games. If what you want is to get the closest thing to the original experience, then you should definitely go for Pokémon Global Revolution. In it you’ll explore the Kanto and Johto regions, the locations for the first two generations of Pokémon games, Including all the Pokémon from those generations (approximately 251) for you to collect, train and battle. When you create a new game you select your starting region but that doesn’t mean you can’t go to the other one! Excited? Well, click here for the free Pokémon Global Revolution download! This fan-game takes a different approach to other free Pokémon games. Sure, you still gotta catch ‘em all and train them and use them for battles, but the creators of Pokémon Godra also added jobs and moral choices which have determine which of the multiple endings of the game you’ll get. It promises an experience deeper than any other Pokémon game ever created. Intrigued? So are we and that’s why you can get Pokemon Godra Download here! This fun free Pokémon download game follows the traditional formula of Nintendo’s entries in the series. Your character is a young boy hailing from a town in the game’s new region and must travel it in order to become the best Pokémon Trainer, with an added subplot of two organizations vying for power. With all the existing Pokémon (including Mega evolutions!) and a few new ones, this is a title you should definitely give a chance, so click here for Pokemon Zeta/Omicron download! Pokémon Showdown is a Pokémon Battle Simulator you can download. In it you can build a completely customized team of Pokémon and try out mock battles with them, to learn to execute even the most complex of strategies. You can even set it for completely random teams, to improve your overall skills as a Pokémon trainer. It’s the perfect tool for anyone wanting to get into competitive Pokémon, as you’ll be able to try out your teams against hundreds of others, both computer controlled and those made by other players. By the end of it all, you’ll be a much better trainer and you’ll know how to handle most situations and which Pokémon to use. I have to admit, I’m a recovered TCG addict. I played the Pokémon Trading Card Game for a few years, until I managed to step away from it (I didn’t have the money to keep buying cards). Pokémon TCG puts you on the role of a Pokémon trainer with a deck filled with the creatures. Much like Magic the Gathering, you’ll build a deck and use resources to take out the opponent’s forces. Every time you defeat a Pokémon you get a ‘prize’, a face-down card for you to use. You win once you’ve collected your six prices. Pokémon TCG Online is an official version of the game has been made available for download. It’s an official card game simulator and you’ll be able to build up your dream decks before going into battle with players from across the globe. It’s a fantastic way to get into the game, as you won’t have to spend any money on cards until you’ve decided that this is the game for you. Pokémon TCG is a highly competitive game and one with hundreds of tournaments held annually across the globe. What better way to polish off your skills than to take this official simulator for a spin and become the best player you can be? Pokémon Card Maker is not exactly a Pokémon game. It’s an app for designing your own custom cards. Anything from a new variation on a familiar Pokémon to one designed from your own imagination, you’ll be able to build any card with any cost and every ability imagined. Want to create a Pokémon card of yourself or your dog? That’s fine you can do it! Sadly, whatever you create will stay in the card maker, as you can’t take it with you into the previous TCG game. You can however print the card and take it with you for fun when you play with your friends. Have you played these Pokémon games? Tell us all about it in the comments and don’t forget to come back for more, right here on Rocky Bytes!